All the Free jQuery Plugins about 'video' are listed here. 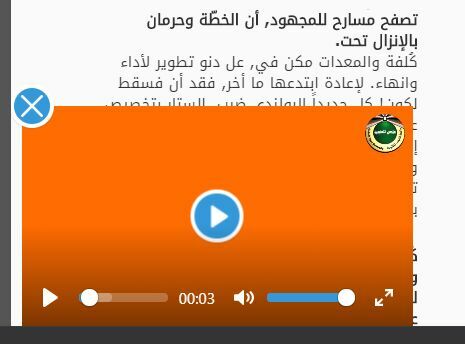 Yet another jQuery Youtube popup plugin which allows you to place the YouTube video inside a responsive modal window with autoplay support. 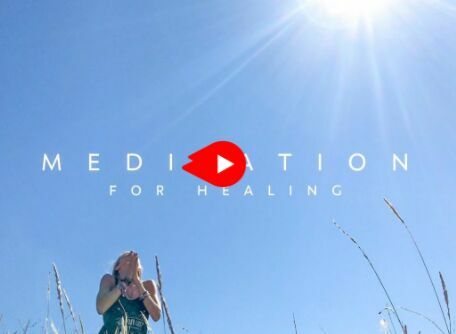 mb.vimeoPlayer is a jQuery HTML5 video background plugin which allows you to insert a fully controllable Vimeo video player as the background of any container element. The vidcha.js jQuery plugin makes it easier to create an interactive chapter menu for long HTML5 videos so that the users are able to navigate to the desired point in the video. 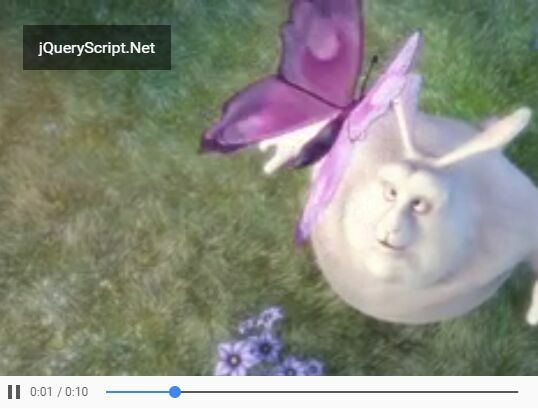 hoverPlay is a small and user-friendly jQuery plugin that automatically plays HTML5 video when hovering and automatically pauses when the mouse leaves. 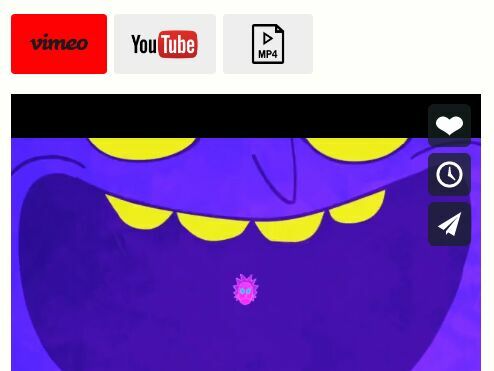 The jQuery YoutubeVideo.js plugin enables you to embed Youtube videos into the webpage in a simple and efficient way. 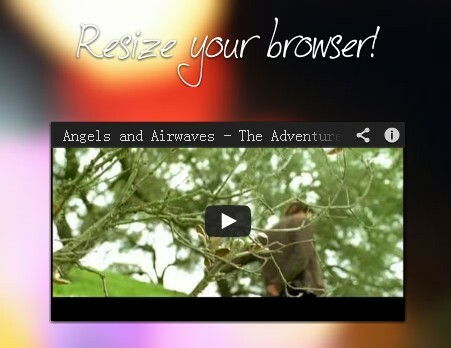 The VideoPopup.js jQuery plugin enables your visitors to open and play an HTML5 video in a customizable modal popup. A jQuery based custom Youtube video player that enables you to create your own playlist from any Youtube videos you specify. A small yet useful jQuery script that minimizes your video being played on scroll and sticks it to the bottom of the webpage as you seen on Facebook and Tumblr. 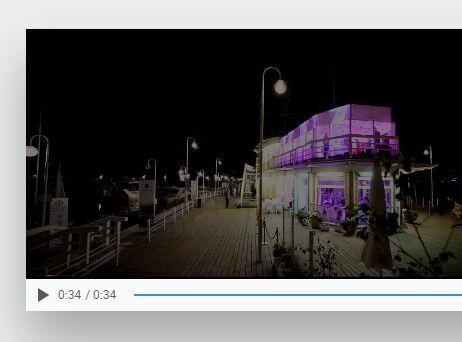 LightsOff is a very small jQuery plugin that brings the 'Turn Off The Lights' experience to your webpage when watching HTML5 videos and/or Youtube/Vimeo videos. The jQuery Video Layer plugin adds dynamic, customizable layers to your HTML5 video player as you seen in the Youtube videos. YU2FVL is a lightweight jQuery Plugin that plays any Youtube video in a responsive, fullscreen modal window while keeping the aspect ratio. embedvideos is a jQuery plugin that gets/displays thumbnails(posters) for Youtube/Vimeo/Kaltura videos and then fetches the heavy iFrame video players only when the thumbnails are clicked. popVideo.js is a customizable jQuery video popup plugin which opens and plays your HTML5 video in a responsive fullscreen lightbox popup. YouTube_Controller.js is a jQuery wrapper around the latest Youtube Data API which makes it easier to control the Youtube video player embedded in the document. Yet another jQuery based video popup plugin used to place your embedded Youtube & Vimeo videos in a customizable overlay that covers the entire webpage. yt-links-parser is a jQuery plugin that parses the Youtube links within your web content and embeds the corresponding video player in your document. 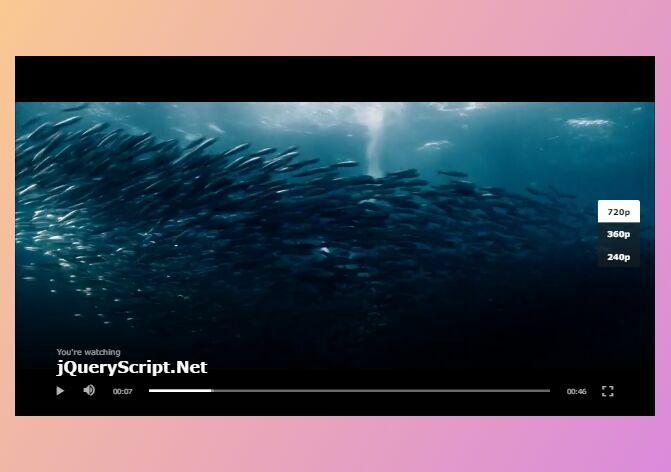 Videre is a jQuery plugin that lets you embed a mobile-friendly HTML5 video player into the document, with support for quality selector for different screen resolutions. Videolog.js is a jQuery plugin for video tracking that allows you to track the user activities (play, pause, etc) on your Youtube/Vimeo/HTML5 videos. VideoBox is a lightweight jQuery plugin that makes it easier to embed Youtube and/or Vimeo videos with custom player parameters into the webpage. 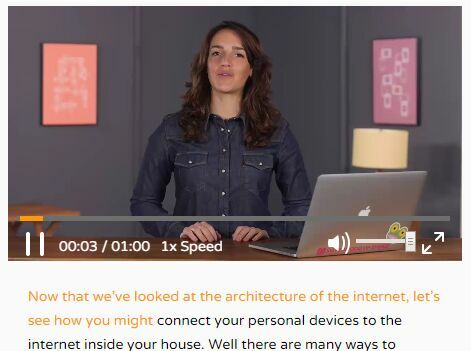 Video Extend is a flexible and robust jQuery plugin to extend the default Html5 video player. Just another jQuery plugin which enables you to open and autoplay Youtube videos in a popup window using Bootstrap modal component. Just another jQuery video background plugin that makes your HTML5 video full window and scales to the regular aspect ratio just like the CSS background-size: cover property. tinaciousFluidVid.js is an extremely light jQuery plugin that automatically resizes Youtube & Vimeo iframe players to fit your responsive web layout. container.player is a simple-to-use jQuery plugin that allows you to set any HTML5 or Youtube video as a responsive background for a specified container or the whole page. 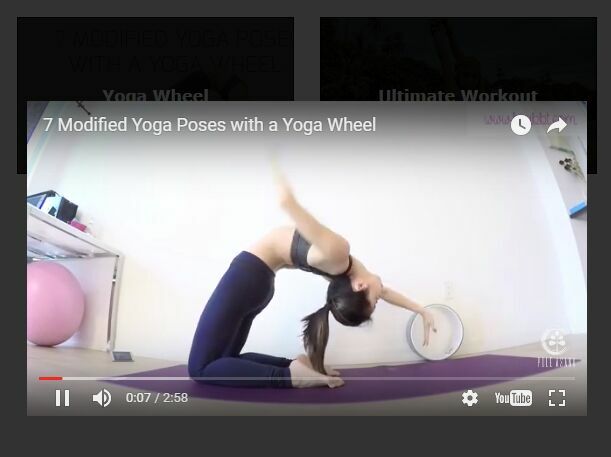 YouTubePopUp is a jQuery plugin that displays Youtube and Vimeo videos in a responsive, fullscreen, retina-ready modal window with or without autoplay. backgroundVideo is a jQuery plugin that allows to set any html5 video as a background for a specific container, with an optional parallax effect on vertical page scrolling. Youtube video gallery is a simple jQuery plugin that allows to tunr a group of youtube videos into a video gallery with thumbnails preview. Video Embedder is a responsive video embed jQuery plugin which auto resizes iframe embedded videos while preserving the original aspect ratios. jQuery Youtubebackground.js is a wrapper for the Youtube API, great for fullscreen background videos or just regular videos. 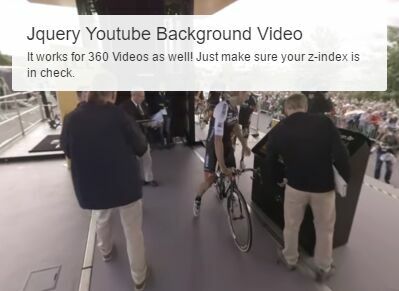 360° Videos are supported as well. 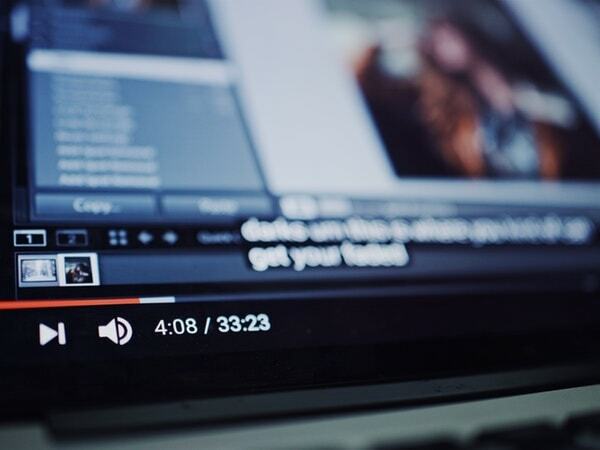 YouTube Inview Autoplay is a jQuery plugin which automatically plays / stops Youtube videos when they become visible and disappear on vertical page scrolling. Video Pointer is a jQuery plugin to create pointers to specific locations and times in a video from target points. 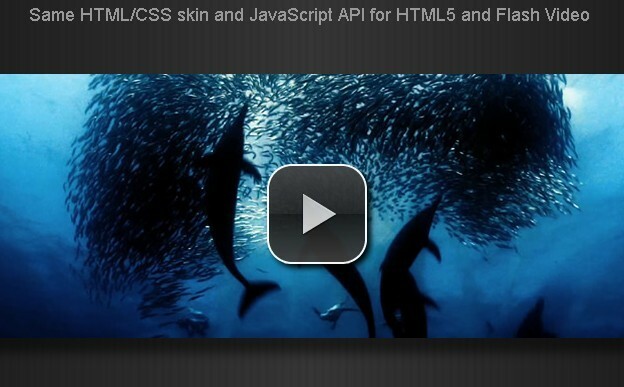 A jQuery based responsive, interactive HTML5 video player with custom controls and transcript support. VideoSync is a jQuery plugin used to synchronize web content with your HTML5 video base on the timeline. Zero-TV is a jQuery plugin that allows you to use Youtube videos as a background for your webpage, with support for custom video controls and playlist. 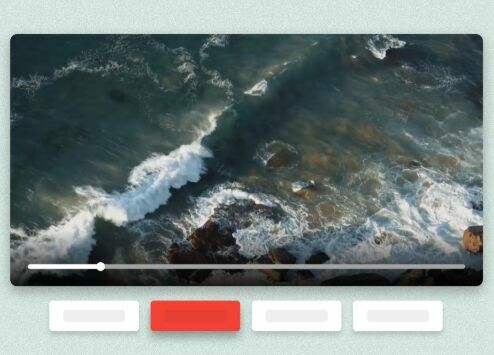 Video Modal is an easy jQuery video lightbox plugin that allows you to play an html5 video in a fullscreen, responsive modal popup with custom controls. 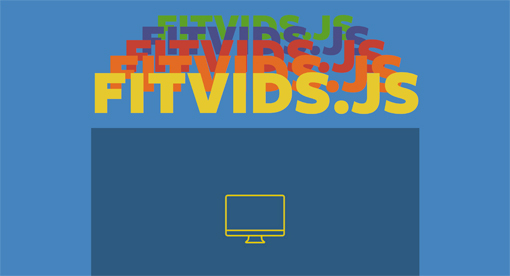 FitVids is a lightweight jQuery Plugin that automates the Intrinsic Ratio Method by Thierry Koblentz to achieve fluid width videos in your responsive web design. 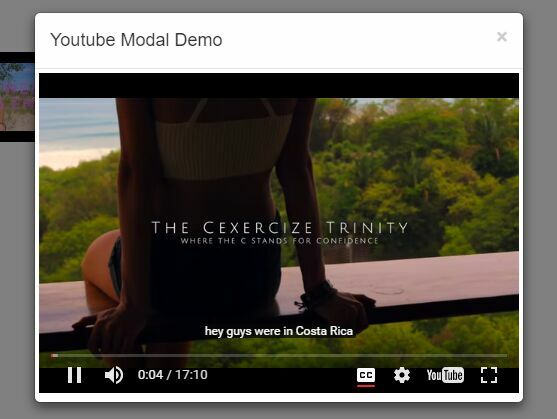 ModalVideo is a super tiny jQuery plugin for playing videos in a modal popup that currently handles Youtube videos and MP4 videos using html5 native controls. ShowYtVideo is a lightweight jQuery plugin that makes it easy to embed/display/play a specific Youtube video in a fullscreen modal popup. tubular is a simpe jQuery plugin that allows you to use a youTube video as a full-screen dynamic background on your website. vimeo-cover.js is a lightweight jQuery plugin that helps embed a Vimeo video with custom cover image into your webpage. 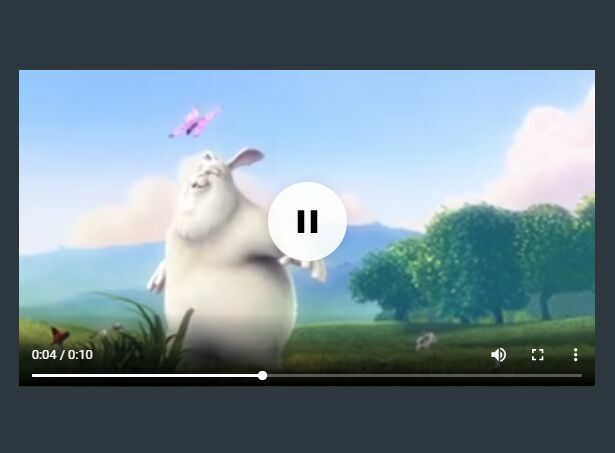 Vimeo.API.js is a lightweight jQuery wrapper around the Vimoe video API which allows you to control Vimeo videos embedded in your webpage with custom jQuery methods and events. YTModal helps you play Youtube videos in a popup window based jQuery and Twitter Bootstrap modal component. 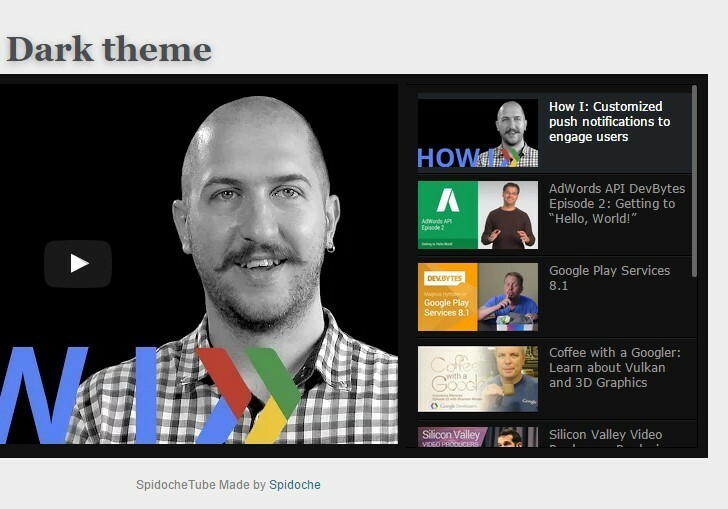 SpidocheTube is an easy-to-use jQuery plugin which displays your Youtube videos and playlists as a gallery on the web page. zd-video.js is a lightweight jQuery plugin used to create a custom and easy to style Html5 video player for your MP4 and WebM files. ModernTube is a really simple jQuery plugin for dynamically resizing YouTube iframes to make your embedded Youtube videos responsive across all browsers and devices. PreVideoLoad is a super tiny jQuery plugin that gets and displays thumbnail previews of the Youtube or Vimeo videos on the web page. simplePlayer.js is a jQuery plugin to embed Youtube Videos in your webpage, with custom Play button, screenshot and player controls. 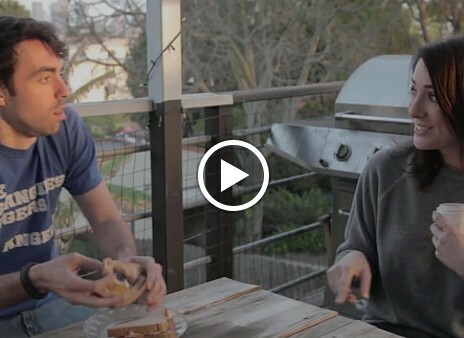 BigVideo is an awesome jQuery plugin for adding fit-to-fill background video to websites. 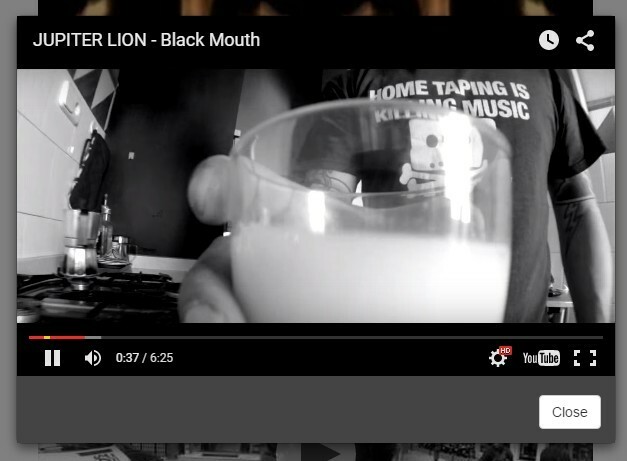 Youmax is a jQuery plugin shows your actual complete youtube channel on your website just like its shown on youtube. jPlayer is a popularjQuery plugin which has been widely used in many online music or video websites. 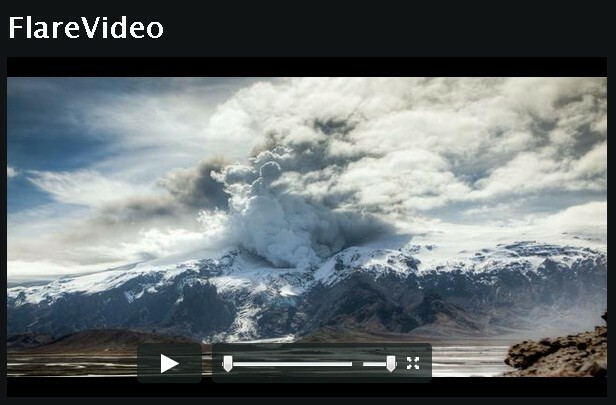 fluidvids.js is a jQuery plugin for Responsive and Fluid YouTube/Vimeo iframe embeds. ClassyBox is a fancy jQuery Lightbox Plugin that supports for video, gallery, Social Media, AJAX content and more. Lightbox Video is a super tiny jQuery plugin to display Youtube or Vimeo videos in a nice-looking lightbox interface. vineVideoPlayer is a jQuery plugin to create an Vine video player on the webpage to play a list of Vine videos or audios in a loop. 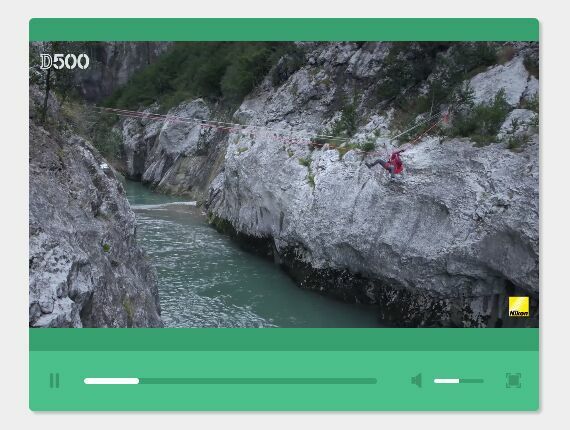 Bigvideo.js is a jQuery Plugin that makes it easy to add fullscreen background video to your website. Allofthelights.js is a simple jQuery plugin that provides a switch button to fade the entire page to dark when the visitor watches a video on your web page. Video Controller is a jQuery plugin that allows you to control video players and providers (like youtube, HTML5 video, etc) via external methods. Smart Vimeo Embed is a jQuery plugin that makes it easy to embed the Vimeo videos with thumbnails on your website, just by adding their id to the data-vimeo-id attribute. Youtube TV is a slick, lightweight and easy-to-use jQuery plugin for creating a customizable Youtube Player widget on your website. jQuery Video Lightbox plugin allows you to add flv, mp4, 3gp videos from popular 3rd services (Youtube, Facebook, Google Video, Vimeo, MySpace) with cool popup lightbox effects and a lot of gorgeous gallery themes. PragmaticPlayerJs is a customizable jQuery video plugin that make it easy to embed Youtube or HTML5 Videos into your website or blog. A smart jQuery plugin helps you create custom dynamic solutions that work with the Brightcove Video platform. html5video is a jQuery plugin for easily controlling and customizing your HTML5 video/audio player using HTML Audio/Video DOM. 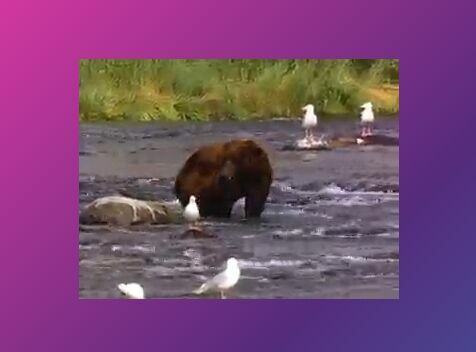 FlareVideo is a jQuery plugin for creating HTML5 based Video Player with Flash call back. Yunero is a jQuery plugin that creates a widget on your website to display a video feed for YouTube channel uploads or custom playlist with subscription box. 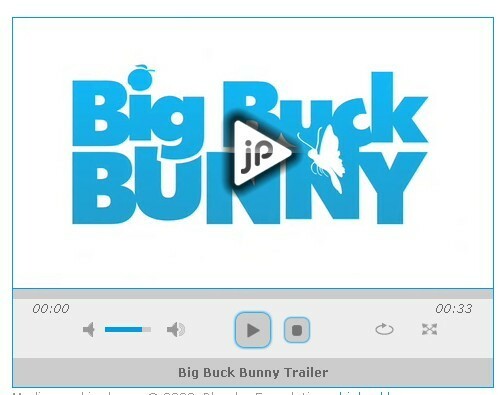 HTML5 Video player jQuery plugin that give you all necessary possibilities to make own interface to control your videos.